Grandesign brought Southwest Airlines’ new look to life at their home base in Dallas’ Love Field with a complete, immersive 3D projection experience. 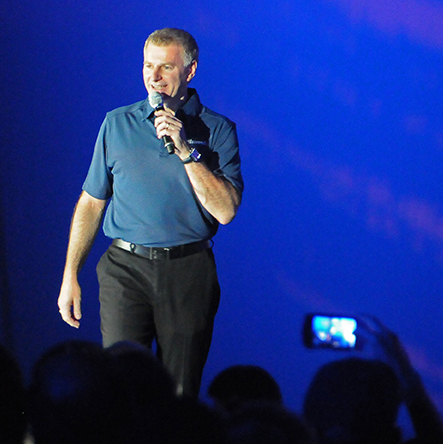 Beloved CEO Gary Kelly kicked off the reveal with the exciting announcement to more than 4,000 enthusiastic employees that were in attendance to witness the world’s first immersive projection experience in the interior of an airplane hangar. The day’s events were capped off with a deck party at the airline’s Maintenance Hangar. Southwest Employees, partners, and members of the press were invited to see the new aircraft, displaying the new Heart livery, up close and personal.